I have mentioned my struggles to stay on plan lately. I've been busy. Sick. Bored. Hungry. Yes. I'm running a 5K in one week, but finding the motivation to train for it has been nearly impossible. Being so busy the past few weeks I have found my "me" time precious. Working out just feels like the last thing on my list. So what do you do when life gets in the way? Shake things up. Time to go back to my roots. Go back to the things that motivated me back in January when I started my weight loss journey: XBox Kinect. 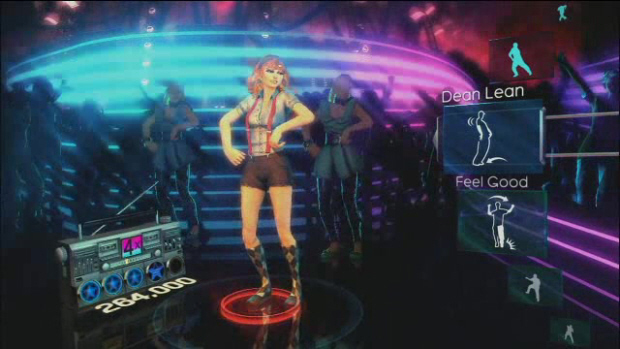 It seems kind of silly, but EA Sports Active and Dance Central are actually wicked good workouts and best of all? They are fun! So, instead of feeling like I'm being tortured by my 5K training, right now to stay on track I need to make it fun. I'm sure there are many like me. You know who you are. You are bored of your workouts. You move on. Your motivation wanes. My advice to you is to keep it fun. If what you are doing is no longer fun for you, move on to something new. I'm not giving up on being a runner. I may end up run/walking the 5K next Sunday but that's okay. It is a good starting point. For now, I just need to keep finding ways to stay on track so I can reach my goal: to lose 60 lbs. I can't get there by being tortured or bored. I can only get there by having fun and keeping it interesting. Get out there and have some fun everyone!